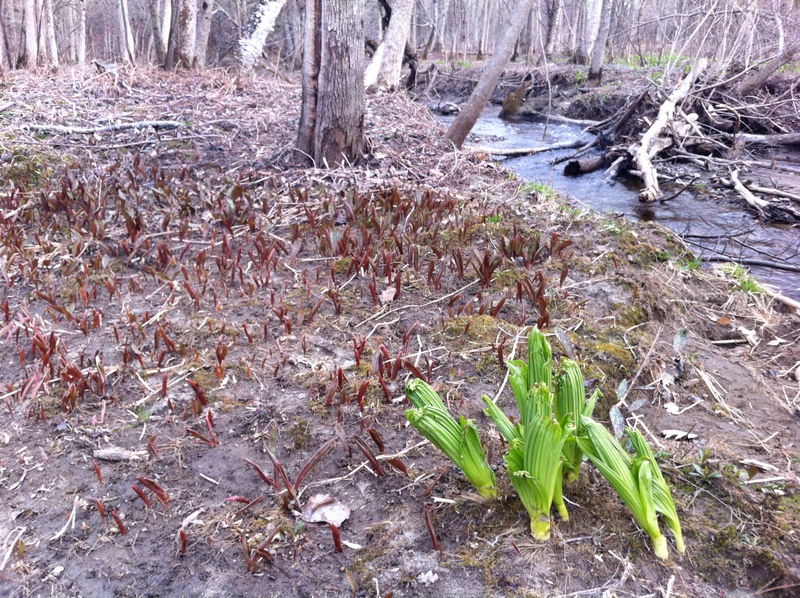 There is a massive springtime display happening in the woods behind my house, and going into my fourth spring on this land, it hasn’t gotten any less exciting. Patience! 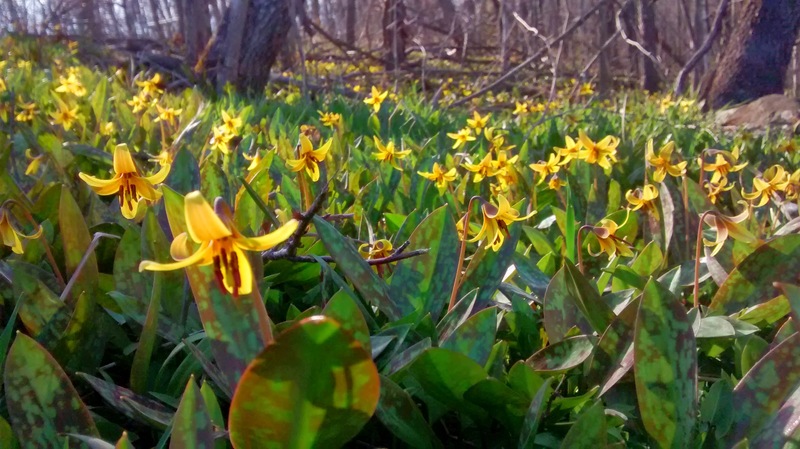 The massive springtime display photo comes at the end of the post. This is the foreshadowing. 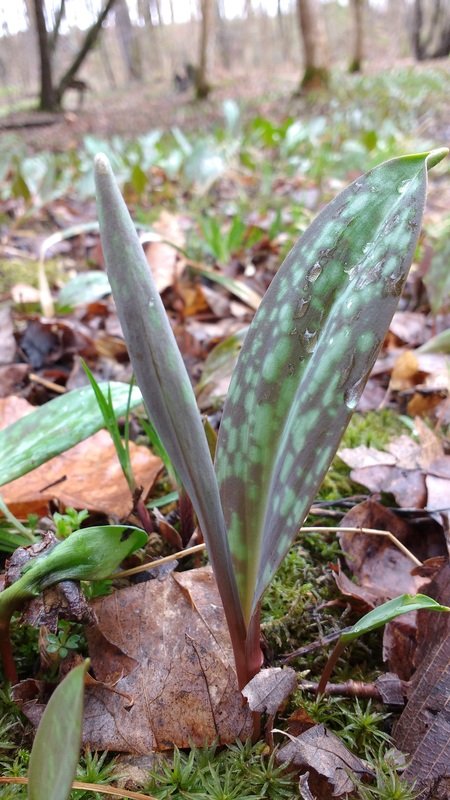 It starts in mid-April with tiny red spears poking up underneath the leaf litter. This is the stage at which I would dig the corms to eat, although I never remember to take a spade into the woods with me, and the pea-sized corms are often too deep to dig without tools. Last year was the first time I tasted these, and they’re delightfully crunchy and sweet, like jicama. This is another good stage for foraging! 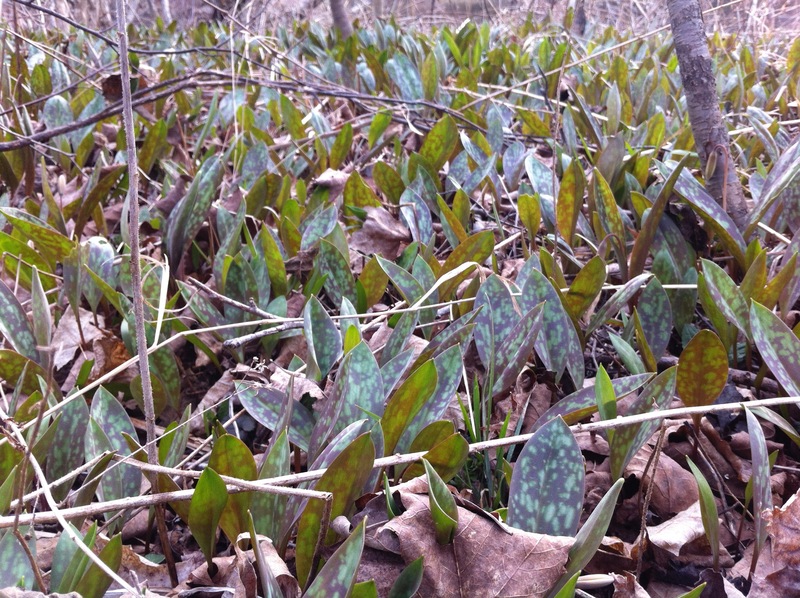 On April 22nd, the Wildwood Path came to these woods and gathered trout lily leaves for lunch. Eaten fresh, they’re sweet and succulent and slightly peppery. They can also be cooked. 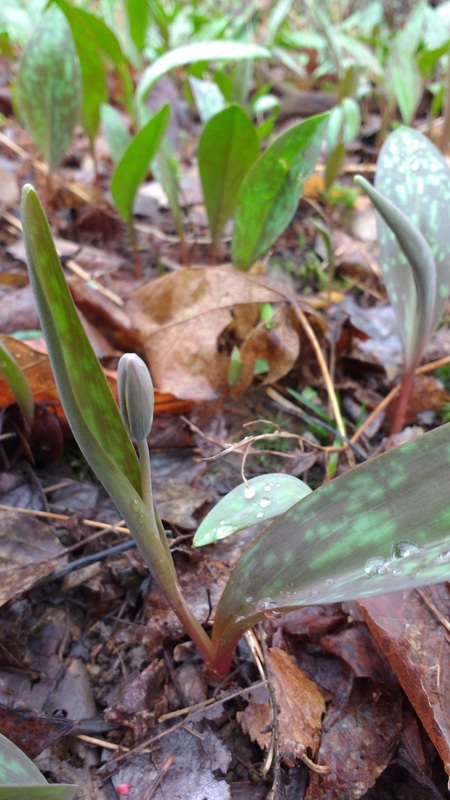 Many of these little plants put forth a second leaf, furled into a sealed tube, which soon opens to reveal the flower. But today. I’ve been waiting for today. Watching this sunny day approach in the forecast. Today is the day to throw open your petals and raise your head as high as your skinny little neck allows. Time to bask in the sun. 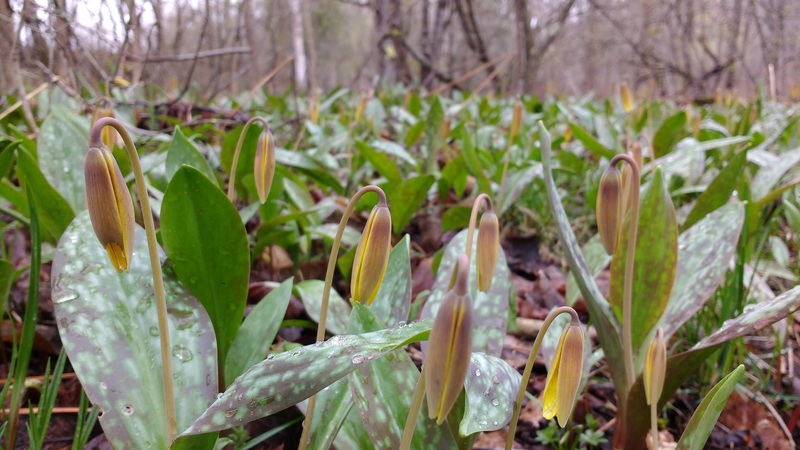 Today is TROUT LILY DAY.